Becoming Minimalist, Who am I? This is the 3rd or 4th video I did talking about my front porch. Originally my front porch looked a certain way and I liked it. But I saw a picture of a porch that I loved and knew I could make my front porch look like that picture, but I thought I couldn’t because I had things on my porch that I loved. What would I do with those things? After I got introduced to minimalism and went to NY to see The Minimalists speak, I started seeing things in a different light. Like do my things have more power over me than they should? and I painted the floor a very very light grey, I painted the walls white, I bought curtains that gave the same look, and something funny happened, I got nervous. I thought it wasn’t me, and wondered if I really liked it, it actually was scary for some reason! But I lived with it for a little while, I knew that when we get out of our comfort zones our feelings can be deceiving. Something else was a concern for me, I have a glider rocker that I really like, I thought I couldn’t put it in the room because it didn’t match, so I took it out. I brought it back into the room, and it turns out that I love it, just like it is, no spray paint, it’s perfect, and that made me really happy. After being in this room for a little while, I saw that it was ok, I was afraid that it would get really messy because it was all white. I received many comments on one of the videos I did about this experiment, voicing that I was afraid I couldn’t be me in the room, allowing my granddaughter to have chalk on her hands and what if I wanted to have a tea party with cupcakes?! “So what! Just clean it up!” was the response I got! DAUGH! It is just something that I wasn’t used to, and i had to give myself some time to see how I would feel about it after I’ve lived with it a bit. I added some things in the room. I put a rug down, a mirror up, I got a hanging plant and a vase to add some color, I painted and distressed a chest that I had out there and I think the more distressed the light grey floor will be the better. So this is the final video I will do about my front porch and the experiment that I did. Watch the video for all therefore and after and process slides! I came to realize that I don’t have to stay the same forever and I can change the things that I like, and I can get rid of them too, because I am not my things. Do I want to spend my life caring for and about things? People and experiences, that should be really the bottom line to what I put my energy into. I will be continuing down this road, thinking minimalism because I fell like for people like us, who have such a hard time parting with things, it will prove to be the turning point for us, we can get what we want, not only a home free of clutter, but a life that we truly have dreamed of living. If you haven’t checked out Tidy Tutor University, Please do! 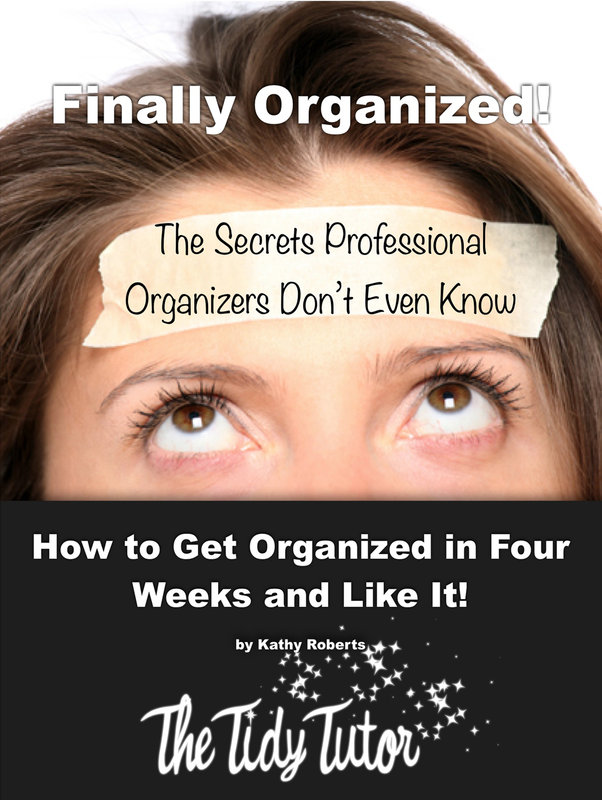 If you have always wanted to live an organzied life, this will absolutely get you what you have always wanted. Click the link https://thetidytutor.com/ttu-class/session-1/ to take Session one FREE! Kathy, this is just right. I know you’re ‘not your things’, but you’re in it! You tweeked it and made it ‘you’. I think God made us that way. Sort of like this: I just don’t feel “me” in certain clothing…but I can try new looks out. Now with the porch you stepped out of a sort of comfort zone and it seems like that’s kind of representative of the courageous way you live your life. I hope I’m making sense. Kinda tired. 🙂 Thanks for sharing the whole process with us.